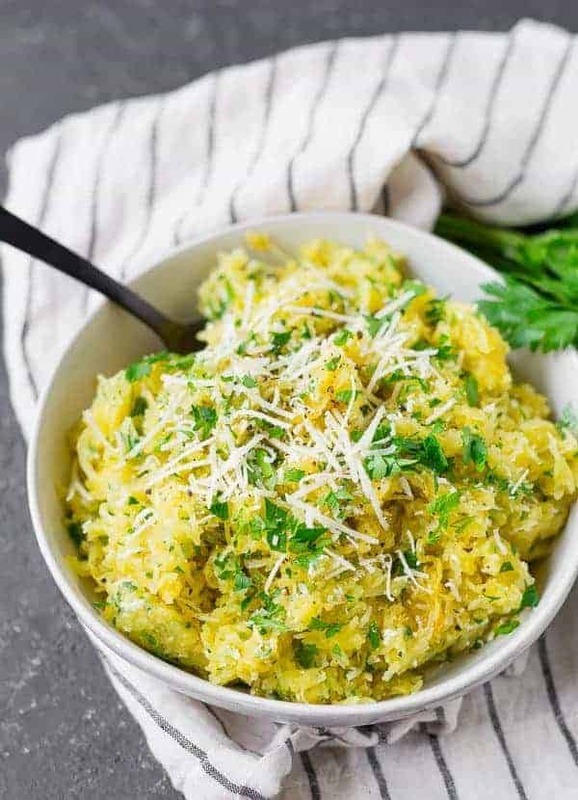 Simple yet flavorful, this spaghetti squash with Parmesan and herbs is a perfect side dish or a great base for a topping such as marinara sauce. I think I’ve told this story on Instagram stories, but never here before….this is the story of Shantell (hi, Shantell!). I frequently use Shipt for grocery delivery (I love living in the 21st century!) and Shantell is one of my favorite shoppers. She always picks out the best produce for me and always checks dates on everything. When I had my first video shoot approaching, I asked Shantell if she’d shop for the groceries for me. She agreed, and then sent me a friend request on Facebook. It turned out that she had a couple of friends in common with me, and I discovered that she homeschooled SIX kids. So now I’m thinking, this lady knows how to chop a vegetable at the very least. At that point, I texted her and asked if she’d also be interested in assisting with food prep and clean up on video shoot days in addition to the grocery shopping. I was thrilled when she said yes! And let me tell you guys, I’m so thankful for Shantell. She’s an amazing woman and one of the most kind, generous people I have ever met. My kids adore her too – they’re always so excited when she comes to our house. But it gets better! Her husband gardens! I do not…I have the biggest black thumb ever. There are times when Shantell texts and says the herbs don’t look great at the store, so then she runs home and grabs some from her garden for me. I said I didn’t know about ten, but I could probably give a few away so she brought me six. Plus two of the biggest Hubbard squashes I have every seen, and a butternut squash. It was squash Christmas in September! 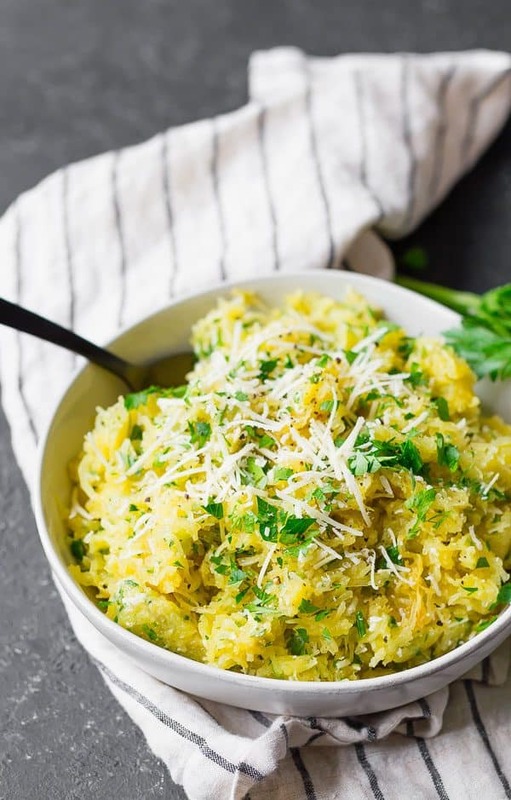 That leads us to this spaghetti squash with Parmesan and herbs. 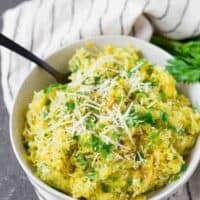 It’s a simple, straightforward recipe for spaghetti squash but it makes a really wonderful side dish and it would also be great with spaghetti sauce (or any of your favorite sauces) piled on top. Try it with this vegan bolognese for a healthy, filling meal! 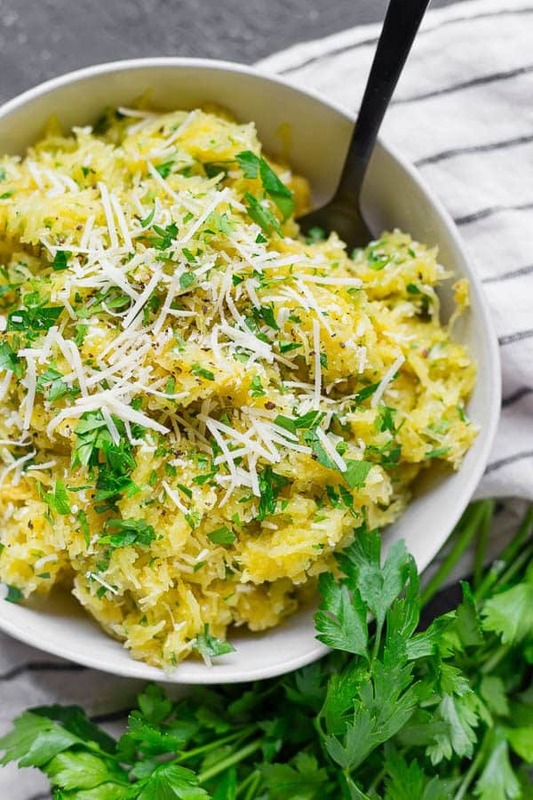 T0 start this recipe, you’re going to need a cooked spaghetti squash. 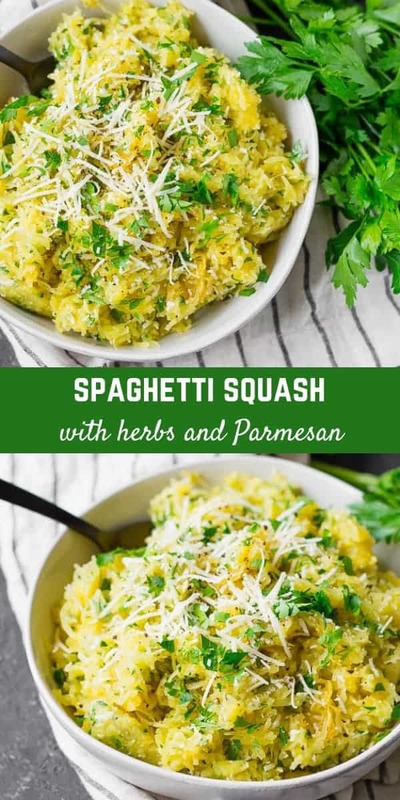 I have you covered there with my post about how to cook spaghetti squash! I cover five different methods, so whether you want to cook it slow or fast, there will be a method there for you. There’s even a video included for the trickiest (but best) method. 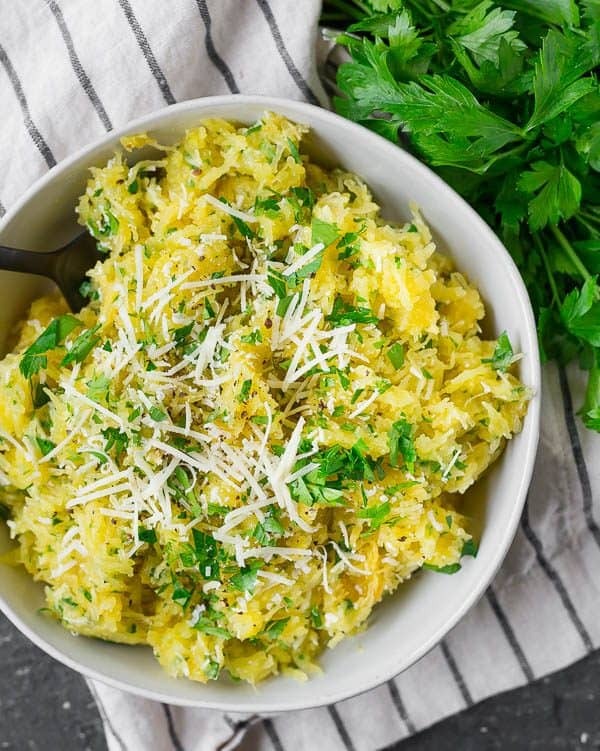 To the cooked spaghetti squash, all you need to add are butter, salt, pepper, Parmesan cheese, and herbs. I like a mix of parsley and basil, but you could also use all parsley, or all basil. You could add in some oregano if you’re serving with spaghetti sauce. If you’re making this as a flavorful side for chicken or fish, you might want to try adding a little fresh dill. Chives would be great in this too! No worries! Leave out the cheese or use a vegan cheese. 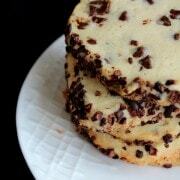 Use olive oil instead of butter. 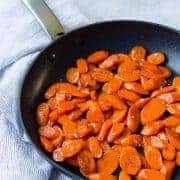 What if you’re doing a Whole30? Gotcha covered here too! Use ghee instead of butter and leave out the cheese. Yup! The herbs will lose a little of their fresh, bright flavor, but it still tastes great. You could also add a few more fresh herbs to liven it up again if you want. Just reheat covered in the oven, in microwave, or over medium-low heat in a frying pan, stirring frequently. In a large mixing or serving bowl, combine squash, butter, cheese, herbs, pepper and salt. 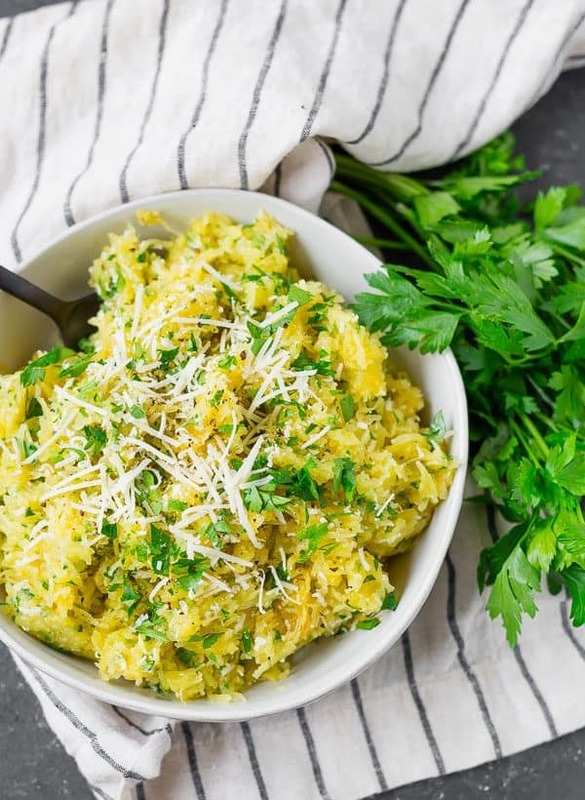 Five ways to cook spaghetti squash if you need directions. Verdict: I loved this simple yet elegant way to eat spaghetti squash. Husband’s take: Ben liked this too – my parents enjoyed it as well. Changes I would make: None are necessary but have fun with the herbs to make it the perfect side dish for your meal. I am going to try your oven baked spaghetti squash tonight for dinner. My question is can you freeze cooked spaghetti squash. What’s the best way and how long will it stay frozen. I hope you love it! I think you could freeze spaghetti squash in an airtight container or in a zip-top bag….should keep for a couple of months. Tried your preferred method of cooking spaghetti squash last night worked great but going to get me a sheetrock saw. Will definitely try this receipts next time. I used the squash with mangy home made spaghetti sauce.my soon and a friend of ours loved it. 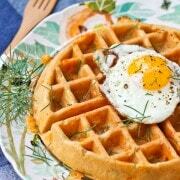 I can’t wait to try it leftover with eggs, yum! Thanks for taking the time to come back and leave a comment!